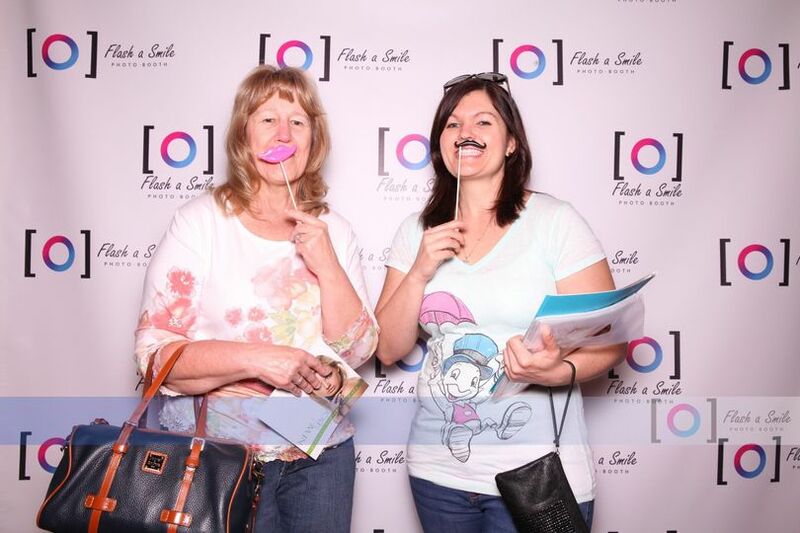 Flash a Smile, LLC is located in Northern California, and is a Sacramento, California photo booth company. We serve the greater Sacramento area region, including, Roseville, Lake Tahoe, Folsom, Elk Grove, Davis, and Napa just to name a few. 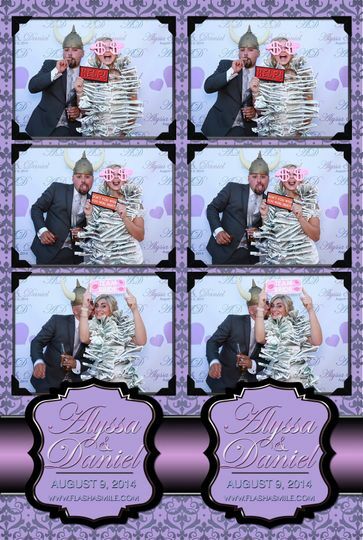 We provide a quality, fun and memorable photo booth experience. 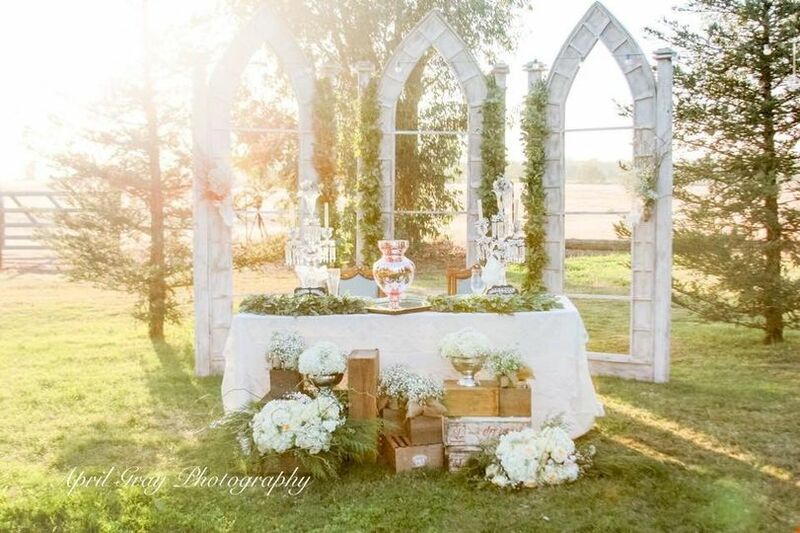 Our photobooth is a unique table top open air style boothless booth, we can fit more than your traditional booth of 2-3 people. 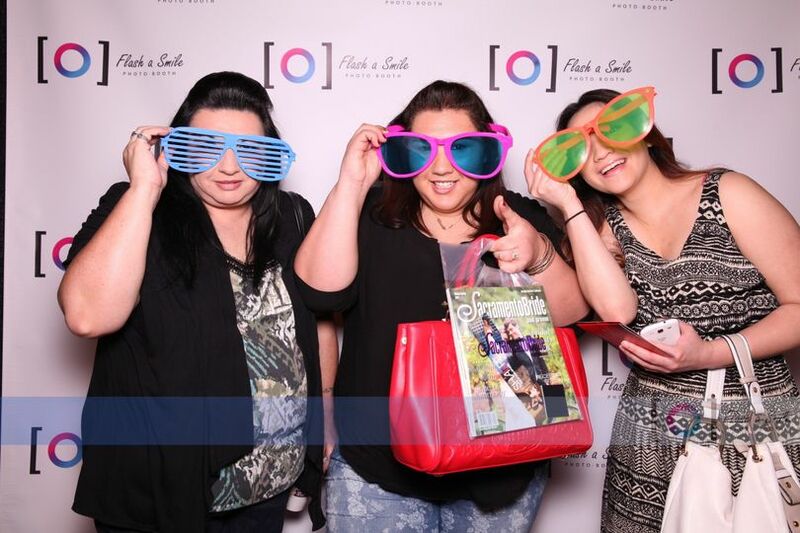 We offer the best Red Carpet Photo Booth experience. Please contact us today to reserve your date. We hired Flash A Smile LLC for our October wedding, and received nothing but the most exemplary service. 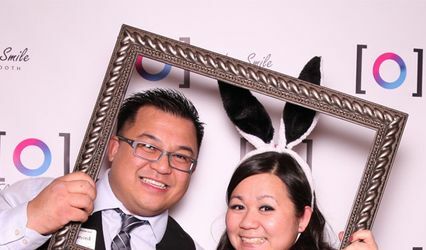 Professional, courteous, on time, and quick to set-up and tear-down, Flash A Smile was one of the most enjoyable parts of the event, and our guests raved about the photobooth! 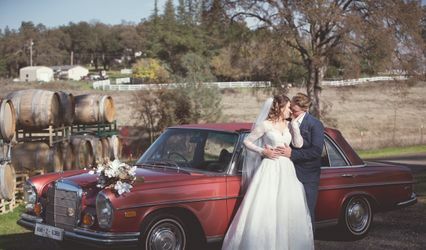 The service we received was beyond our expectations with nice props, quick prints, immediate online upload, and photos of a quality we did not expect (they use the same cameras as your fancy photographer, you can blow these pictures up quite large). Flexibility? We booked them last minute, days before! (I do not endorse procrastination). We were so lucky! 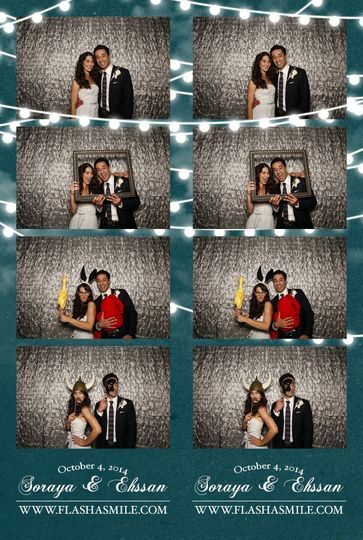 Flash a Smile is still relatively new to the Photo Booth business, but they sure know what they're doing! I first came across them through a vendor show at my work place. They had a photo booth station set up for people to take pictures with their props. I'm very impressed with how the pictures came out! Raymond and his wife Nugget are really friendly, awesome people. Since I'm use to traditional photo booths, they kindly explained to us the logistics of this open-style with a backdrop setup. 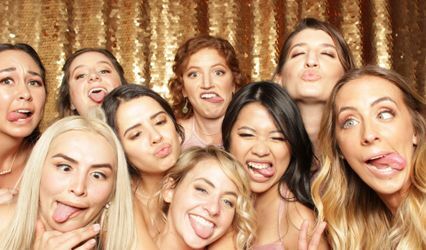 Because it's open, the photo booth can fit many many people -- this definitely comes in handy for large events and weddings where everyone wants photos together to capture the memory. 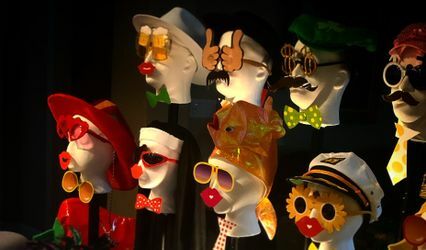 They have a wide array of props to choose from, almost anything imaginable! They are very sanitary with the props too, so you don't have to worry about the cleanliness! One of the biggest factor is their social kiosk option. Who doesn't love auto uploads to Facebook nowadays!? They have that option for you! In addition, you'll also get hard copies (the kinds as if you were in a traditional photo booth) and e-mail copies, how awesome! The photos are all good quality; taken with a professional camera and great lighting! The pricing is reasonable for what you're getting in return. Give them a chance, you won't regret it! My wedding was made even more memorable all thanks to them and everyone raved about it afterwards! 5/5 and definitely recommend! I cannot express my thanks enough to Flash-A-Smile, we had them for our wedding and we had a blast. Raymond and his wife were so easy going and laughing and having fun along with us. 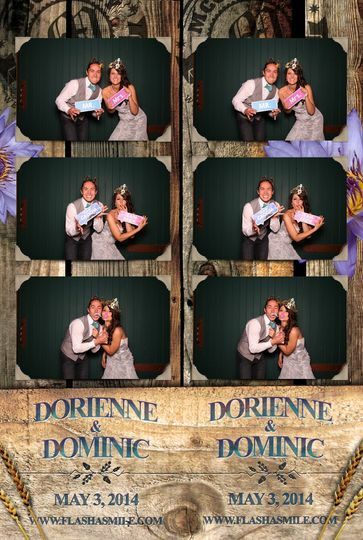 With the addition of the Ipad kiosks to post our guest's photos, the internet was raving with the hilarious pictures being taken from the photobooth. 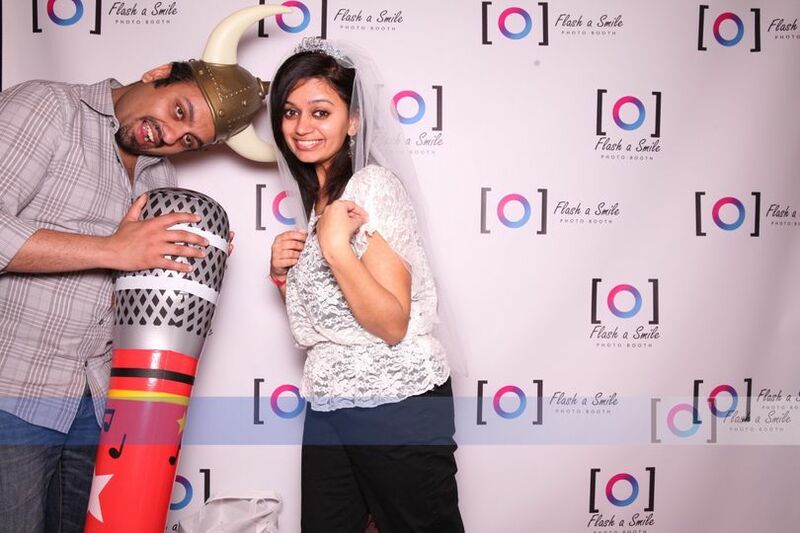 We had so many positive comments on how fun and unique the photobooth was. They brought about 30 props that we could use for the photos and they have a great quality camera to capture all of the fun. 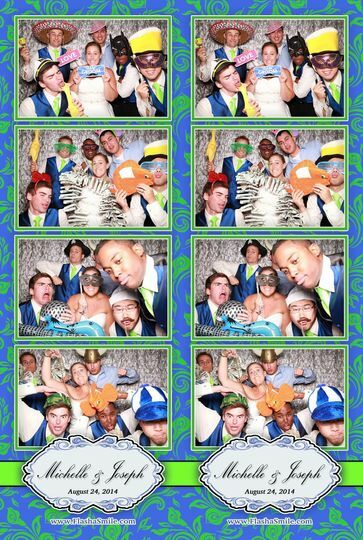 Another great part is that the photo booth is open and has a backdrop, so you can literally have about 10 people in the shot versus about 4 that would be squished inside of a traditional photo booth. My wife and i have spent over an hour looking through all of the copies of the photos that our guests received and we were delighted to see that everybody had so much fun with it. Even people that are normally reserved felt comfortable making fools of themselves in the presents of Raymond and his wife, who guided everybody through the process and reduced inhibitions of taking silly photos. 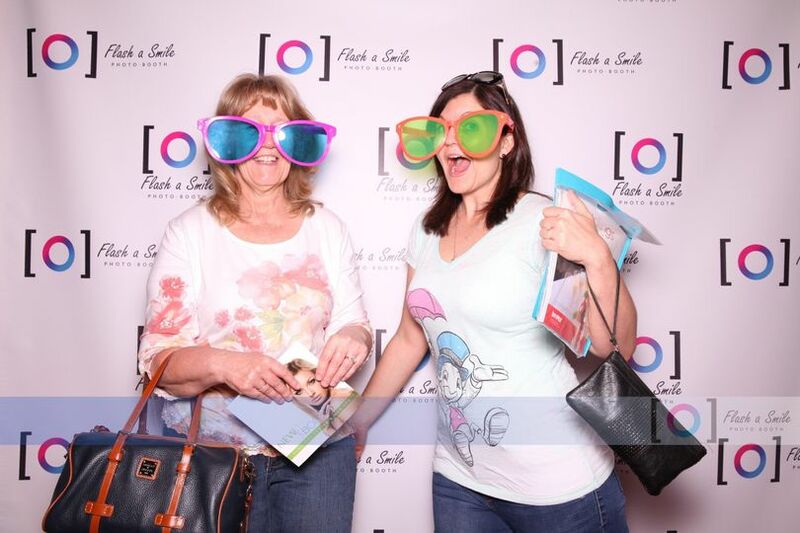 I have been to several events with photobooths and flash a smile is by far the best one i have seen and used. Flash-a-smile has helped leave a lasting impressions of our wedding in our guests' minds as well as ours and the great job they did left us wishing we could have another event just to see what other funny photos we can get. Our Social Kiosk is an iPad station that allows you and your guest to upload their pictures to Facebook, Twitter, Instagram, or E-mail. Flash a Smile is the most entertaining photo booth around. 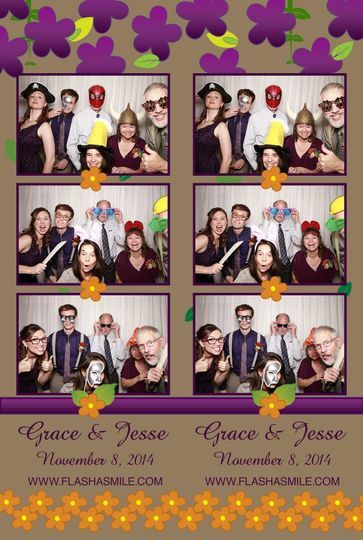 Guests love the open style of the booth so the entire wedding party can fit in the pictures. They have super fun props and are the nicest people around to work with. I highly recommend Flash a Smile for your weddings and special events!